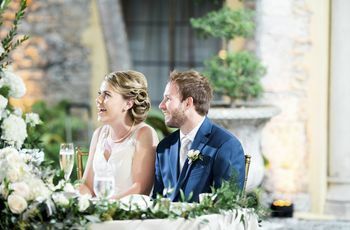 A rehearsal dinner is a mainstay of the wedding weekend, but with the average couple forking over a rehearsal dinner budget of $2,000—it’s certainly a big expense. As travel agent Megan Nugent explains, “When you consider all that goes into these dinners, it’s easy to see how quickly the tab can add up. The guest list traditionally includes wedding attendants, immediate family, ring bearers, flower girls, grandparents and any out of town guests. Next, you must consider a venue, food, drinks, and gifts for the wedding party. 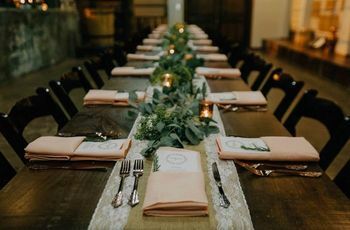 With no effort, a rehearsal dinner becomes a small reception of its own and for some couples this simply isn’t feasible,” she explains. In fact, Nugent says the average cost of a rehearsal dinner - dependent on location, of course - is around $1,300. For larger cities though? Leah Weinberg of Color Pop Events in Long Island City, New York says if you’re in New York or Los Angeles, you could spend upwards of $10,000, which is more than enough to cover a two-week honeymoon to Europe. Here, a look at what to do—and how to keep your loved ones happy—if your rehearsal dinner budget is minimal. 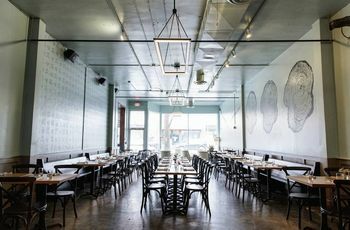 Weinberg says there are no rules when it comes to rehearsal dinner ideas, so changing the format is a welcomed switch. Even if your grandparents don’t quite understand the concept of a sans-dinner, night-before-nuptials event, you don’t have to explain it to them. As Weinberg explains, when a sit-down meal is out of your bracket, hosting a potluck or a casual appetizer spread at your home can provide a personalized feel to the evening. One idea from a couple whose wedding she planned was to have a pizza and beer night: “They were able to invite more people over than at a traditional rehearsal dinner and it was a more laid-back setting, rather than renting out a separate space,” she explains. When it comes to your wedding, your engagement, your honeymoon, your anything - Matt reminds the keyword is ‘your.’ And though everyone from your new mother-in-law to your cake baker has opinions on what you ‘should’ do, remember you also shouldn’t have to make apologies for what you want to do - and what you want to spend your money on. 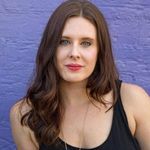 “Don’t let something like your rehearsal dinner budget stress you out because you ‘should’ have one, or because it ‘should’ have certain people there and certain features. If you don’t want one, don’t have one! If you want a simple one, make it simple. After the wedding, these are your memories, most importantly,” Matt emphasizes. 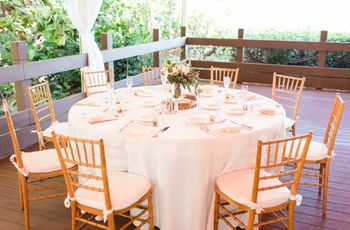 As a way to rethink your rehearsal dinner ideas, travel agent Katey Varanelli suggests taking a step back. The purpose, after all, of this event is to follow the run-through of your wedding before it’s game time. Make the rehearsal itself more important than what you eat after, by skipping food and hosting it at a bar instead. “Express to other guests through your wedding website or information card in your invitation that they can join you at a public place such as a bar or restaurant to socialize. Include language such as ‘dinner available a la carte’ to indicate to guests that they should plan to pay for their own food and drink. 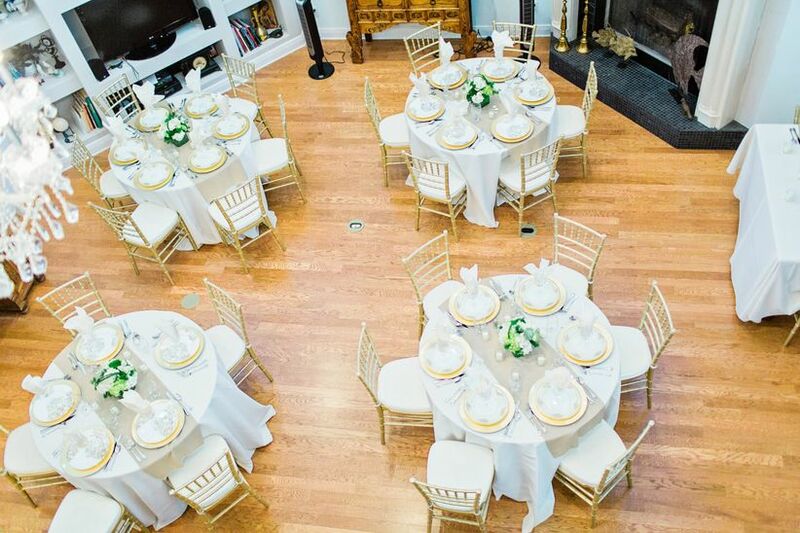 If you set the expectations ahead of time, the guests will come prepared to spend time with the most important part of any wedding, the happy couple,” she says.